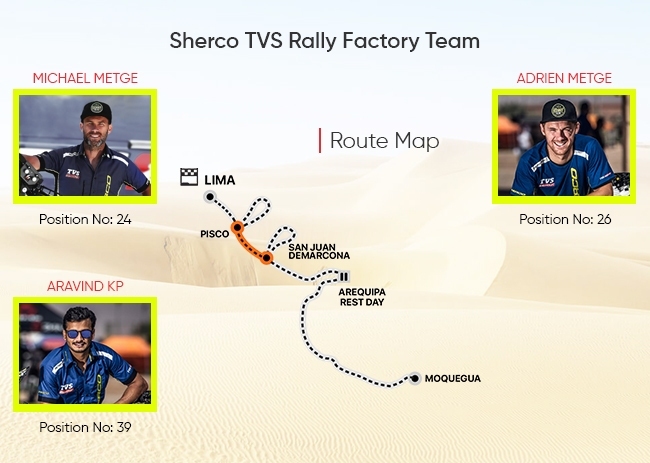 After taking responsibility as the lead rider for team Sherco TVS Rally Factory, Michael Metge displayed his true class and conquered Stage 8, crossing the finish line in the 10th position. Overall, the team witnessed a strong performance by all riders despite multiple challenges. The riders had to find their way through dense fog at the start point, wherein, the visibility dropped to as low as 5 metres. This was just the beginning of an eventful day for the team as after the fog, they had to battle against the dust left behind by the cars and trucks. The cars and trucks had opened the race ahead of the bikes in Stage 8. 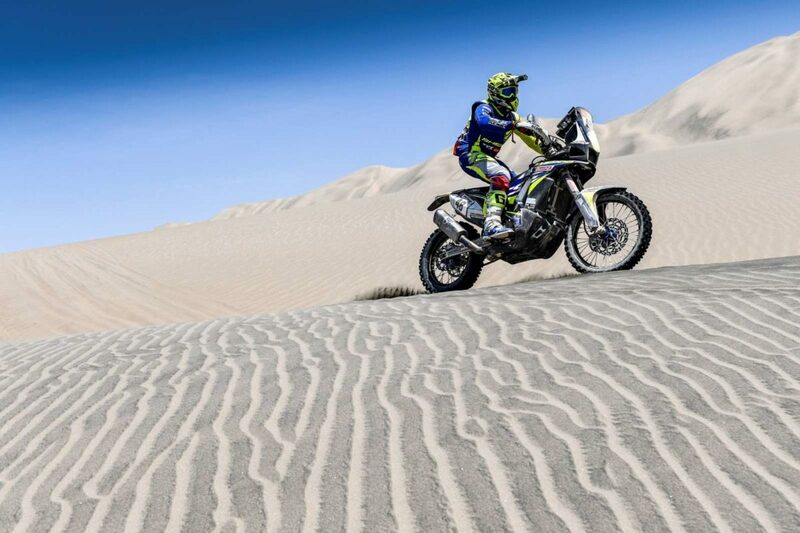 This was the longest special stage of 360km in this edition of Dakar. 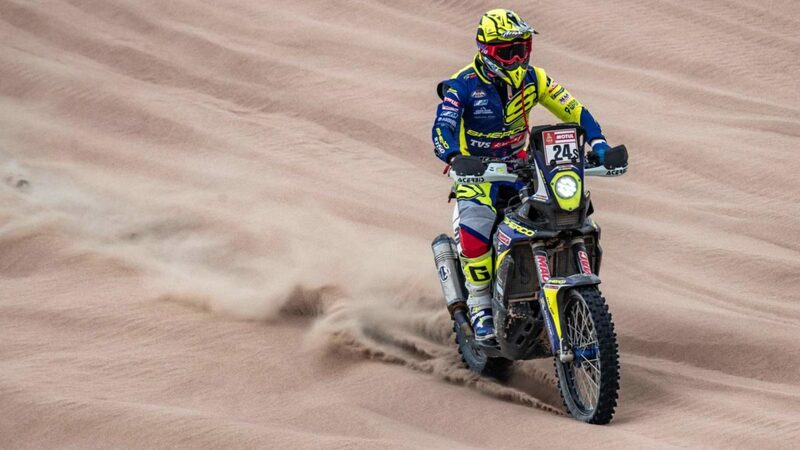 Michael picked up his pace once he hit the sand dunes and his overall ranking is now at 24th. Adrien finished Stage 8 in 14th position despite a minor wrist injury. His strong show has taken him to the 26th position (overall). Aravind KP continues to impress with his consistency and finished the stage in the 39th position (overall). He battled with low visibility initially but was able to ride smoothly post the refuelling point into the dunes.